The Tojiro DP Damascus Series features a Damascus pattern on each blade, created by the forging of 37 layers of both low carbon and high carbon stainless steel folded over the thick VG-10 core of premium cobalt alloy steel. This process is finished very delicately and makes for a truly impressive appearance. 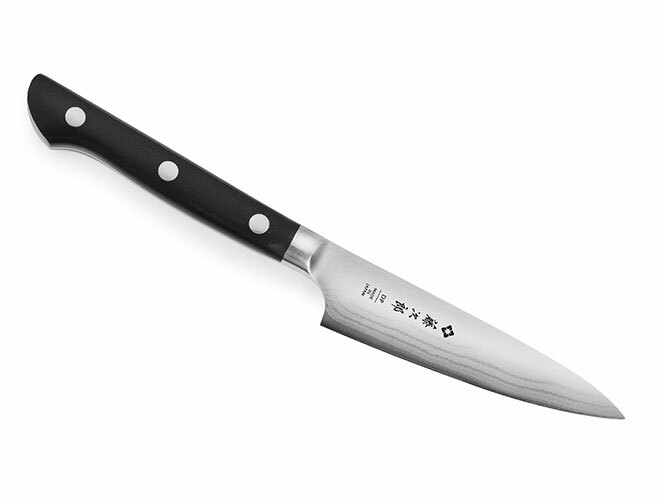 The 60° Rockwell Hardness is hard enough to hold an edge, but easier to sharpen than super hard steel. The triple riveted traditional style Micarta handle with bolster contains heft and balance and the closed bolster collar allows for full and complete sharpening of the blade. 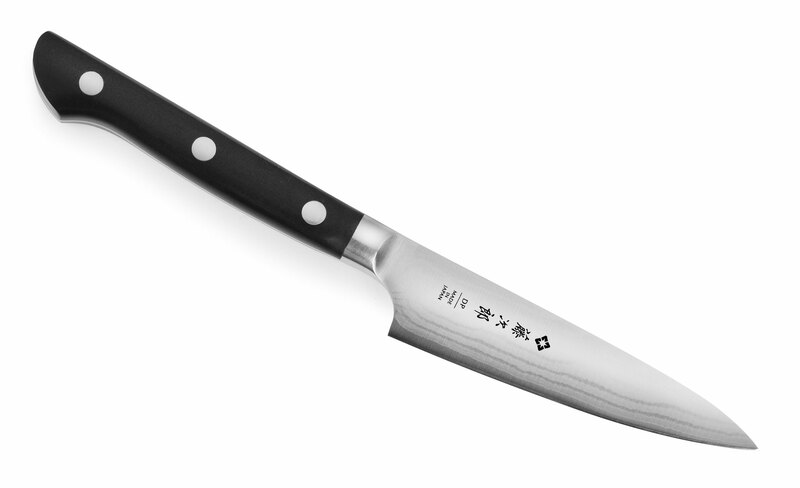 The thin blades, feature a razor sharp edge that is hand-honed and sharpened by skilled craftsmen in Japan.